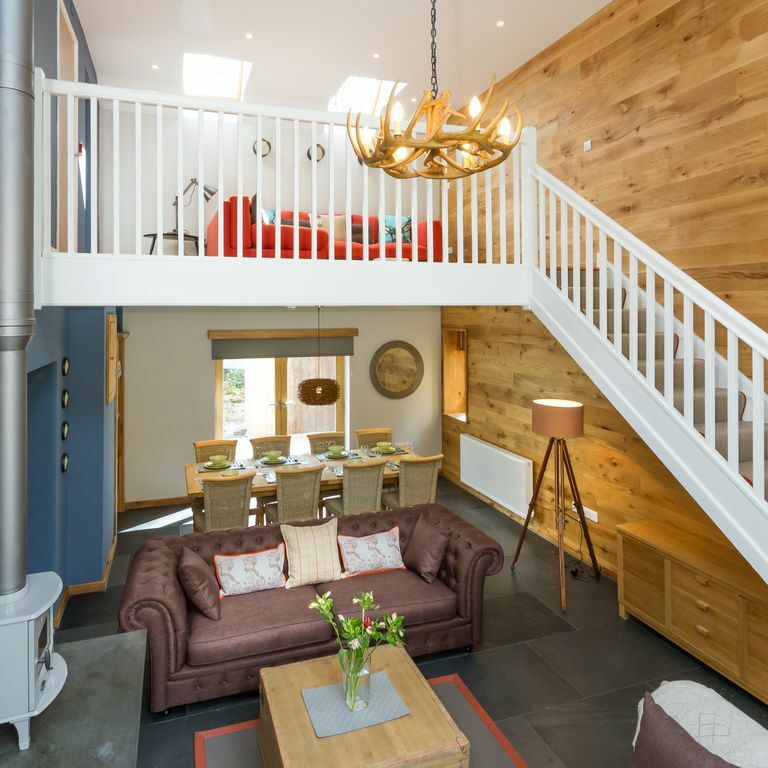 The Cedars is a 5 bedroom Cedar Clad country lodge nestled amongst woodland on the prestigious Pullwood Bay Estate, making it a truly peaceful retreat. This unique property has been recently renovated and converted to an exceptional standard. The kitchen offers Neff appliances and a cosy built in seating area. The large lounge dining space is equipped with a log burner and French doors that lead out onto the patio. There is also a mezzanine above the lounge offering a second lounge area with comfy corner sofa and TV. There are 5 bedrooms three of which have en suite bathrooms. The master bed offers a large dressing room area and en-suite as well as a cosy seating area. With lake access this really is the prefect property for a truly memorable holiday in the Lake District. My husband, Jon, and I fell in love with the Lake District some years ago. For me, it was all about the views and the afternoon teas, but I am gradually coming round to the idea of climbing mountains. Jon has been known to 'avoid the traffic' by taking the kayak across Lake Windermere to the pub at Watersedge. Our two young children love joining us at 'our holiday home'; we will have them climbing Helvellyn before too long! As frequent visitors to the Lake District, we fell in love with the location of Pullwood Bay, the tranquility of The Cedars' woodland setting, and the ability to wander down to the lakeshore. Wake up to sound of silence, start up the built in coffee maker, and wander down to the lakeshore to watch sunrise over Ambleside. After a day's walking in the nearby fells, kayaking on Lake Windermere, either stop to sample the food and beverages at the renowned Drunken Duck or fire up the BBQ and retire to a position by the cosy log fire. We had a lovely few days spent at The Cedars. A great set up- a nice place to chill after a days walking. Easy access to shore line as well as good walks nearby. Great pub down the road and a short drive to Ambleside. All in all- pretty perfect! We contacted Lois a couple of times and she was great at answering our queries straight away. I would definitely stay again. Thanks! Thank you so much Petra. I am so glad you enjoyed your stay at the Cedars. Always happy to help our guests in anyway we can. We stayed at The Cedars as part of a family birthday celebration. We stayed for 3 nights. 7 adults 2 young children. The accommodation is beautiful inside and out. Very well docorated throughout. Plenty of space. Kitchen was fully equipped. Could not fault it at all. Lake Windermere was a short walk through private woodland. We even spotted Dear roaming about. We will definitely be returning. The owners communication throughout the booking right up until arrival was great. Couldn’t do enough for us. Highly recommended. This is a truly lovely place for a family get together with a large open plan living/eating/cooking area. The bedrooms are stylish with private bathrooms and we were lucky enough to enjoy fabulous weather and use the outside patio area which again is good sized to accommodate a large group. The location is excellent with lots of good walking on the doorstep and a small distance from Ambleside. We had the pleasure of meeting Lois who resolved our query in super quick time. It was a pleasure meeting you and your family Maxine. I am so pleased you enjoyed your stay at The Cedars and hope you visits us again soon. Stayed for a week with family, adult children and partners, and two toddlers. House was just as it is in the pictures, everything was very good quality, and it was a beautiful location with the woods and the lake so close by. A lovely week! The Cedars is located in the heart of the prestigious Pullwood Bay estate, with easy access to the shores of Lake Windermere just 200 meters or so from the front door. Guests can use the estate jetty, either to launch a boat (if desired) or simply for a refreshing swim. As The Cedars is located in its own acre of private woodland within the Pullwood Bay estate, it provides a secluded and peaceful location. You may well spot deer through the large picture window. The property's position in the heart of the Lake District provides easy access to all of the facilities of nearby Ambleside, as well as to some of the region's best hiking and walking, and to attractions such as nearby Wray Castle, and the Aquarium. Windermere Lake Cruises will (subject to advance arrangement) collect guests from the Pullwood Bay pier, providing a picturesque route to Ambleside, Bowness, Lakeside, Brockholes and beyond.